To introduce people to the joys of singing. To teach simple songs in an easy and relaxing session. To enable the group to learn songs, harmonies and to sing together. To create a safe exploratory and fun environment in which participants gain confidence in self expression. 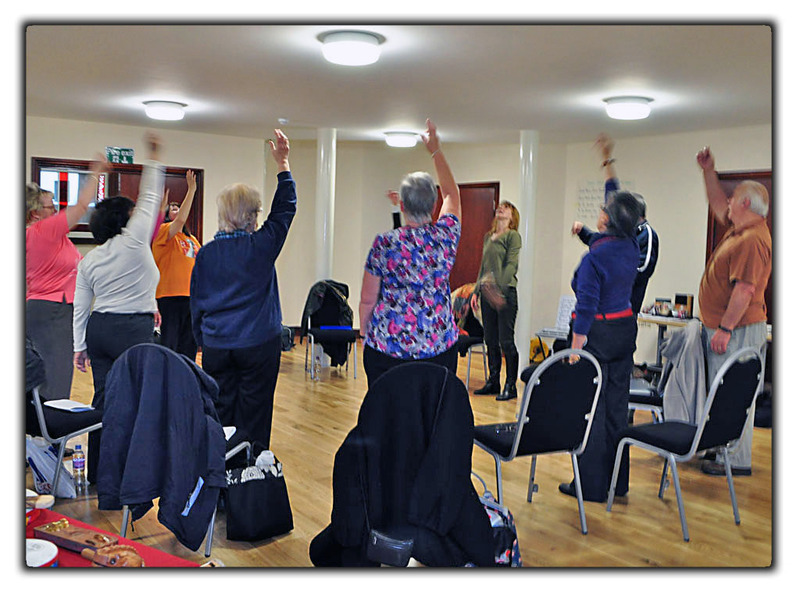 Gentle physical warm-up and vocal warm-up. Introduction to songs and singing as a group. Learning to sing separate parts. Putting the parts together to sing in sumptuous harmony together. 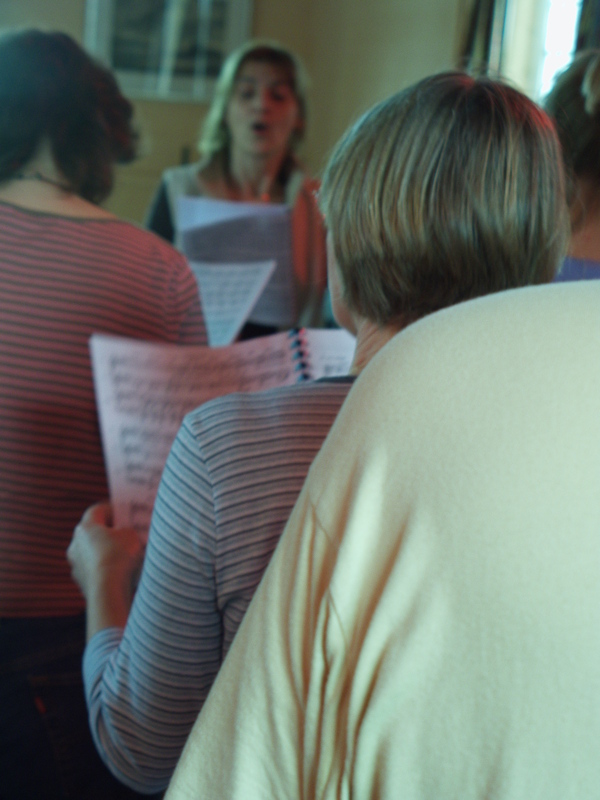 Singing sessions are designed to be accessible to those without previous musical skills or training. Learning about singing together as a group. Listening and taking part in group improvisation. Creativity with support from the tutor. Course Requirements: A two hour morning, afternoon or evening session. Resources: Songsheets and a wide range of beautiful percussion instruments. These workshops are designed to be inclusive of people of all abilities. “For me, it was pitched just right with not being too technical and giving me a sense of achievement in a short period of time.” Songs from Cuba Workshop with Music and the Muse, Hay on Wye.